NO PURCHASE OR PAYMENT OF ANY KIND IS NECESSARY TO ENTER OR WIN. A PURCHASE OR PAYMENT WILL NOT INCREASE YOUR CHANCES OF WINNING. Void where prohibited by law and outside the jurisdiction of England, Scotland, Wales and Northern Ireland. The prize draw begins on Monday 10th September 2018 at 9am BST and ends on Sunday 16th September 2018 at 5pm BST (the “Prize Draw Period”). Sponsor’s computer is the official time keeping device for this prize draw. Entries received after the prize Draw Period will not be valid for the prize draw. Eligibility:The Eve Lom Radiance Mask Facebook Competition (the “Prize Draw”) is open to legal residents of England, Scotland, Wales and Northern Ireland who are at least eighteen (18) years of age or the age of majority in their jurisdiction of residence, whichever is older, as of the date of entry. Employees, officers, and directors of Space Brands Limited (“Sponsor”) or any of their respective parents, affiliates, subsidiaries, representatives, consultants, contractors, legal counsel, advertising, public relations, promotional, fulfilment, and marketing agencies, website providers, web masters (collectively, the “Prize Draw Entities”), and members of their immediate families (spouses, parents, siblings and children, regardless of where they live) and those living in the same household are not eligible to enter or win. Participation in accordance with Official Rule 3 below constitutes entrant’s full and unconditional agreement to these Official Rules and to Sponsor’s decisions, which are final and binding in all matters related to the Prize Draw. Winning a prize is contingent upon fulfilling all requirements set forth herein. Sponsor reserves the right to verify the eligibility of winners. Sponsor:Space Brands Limited (registered no. 131022286) with a registered office address of 5th Floor Shropshire House, 11-20 Capper Street, London, WC1E 6JA. How to Enter: During the Promotion Period, to enter, you must sign up to receive Eve Lom newsletter through the Facebook link provided. Submission of an entry is your agreement to and acceptance of these Prize Draw Official Rules.Upon completion and submission of the registration form, you automatically will be entered with one (1) entry into the Prize Draw. You must provide all required information to be eligible to enter and win. All potential winners are subject to verification before any prize will be awarded. Normal Internet access, phone, and usage charges imposed by your online or phone service may apply. LIMIT ONE (1) ENTRY PER PERSON. ADDITIONAL ENTRIES WILL BE DISQUALIFIED. Automated or bulk entries or entries submitted by third parties will be disqualified. Entries must be submitted by the contestant. No copies, screenshot, facsimiles, or mechanical reproductions of the entrant’s entry form will be accepted. Any attempt by any participant to obtain more than the stated number of entries by using multiple and/or different identities, email addresses, or any other methods will void all of that participant's entries, and that participant may be disqualified at Sponsor’s discretion. Multiple participants are not permitted to share the same email address. In the event of a dispute as to any registration, the authorized account holder of the email address used to register will be deemed to be the registrant. The “authorized account holder” is the natural person assigned an email address by an Internet access provider, online service provider or other organization responsible for assigning email addresses for the domain associated with the submitted address. Potential winners may be required to show proof of being the authorized account holder to the Sponsor or forfeit the prize. Entries specifying an invalid, non-working, or inactive email address will be disqualified and ineligible to win. You must complete all required information to be eligible to enter. Incomplete, illegible, corrupted, or untimely entries are void and will be disqualified. Selection of Winners: On the first business day following the end of the Prize Draw Period, Sponsor will select the name of the potential winner of the prize in a random drawing from among all entries received executed by a computer programme. The potential prize winner will be notified by email (to the email address provided by the entrant) within 5 business days of the drawing of the winner. The potential prize winner will be required to respond to such email notification (as specified therein) within two (2) days of the sending of such notification and, except where legally prohibited, must sign and return, within that same two (2) day period, a Declaration of Eligibility, Liability & Publicity Release (“Declaration/Release”) in order to claim his/her prize. If a potential prize winner cannot be contacted in person via email after the first attempt to contact him/her, or the potential prize winner does not respond within the time period specified above or if the potential prize winner fails to sign and return the Declaration/Release or any other required documents within the required time period (if applicable), or in the event that a potential prize winner is disqualified for any reason, the prize will be forfeited and Sponsor will award the applicable prize to an alternate winner selected by a random drawing from among all remaining eligible entries (an “alternate drawing”). Only two (2) alternate drawings will be held, after which any remaining prizes will remain un-awarded. Verification of Potential Winners: ALL POTENTIAL WINNERS ARE SUBJECT TO VERIFICATION BY SPONSOR, WHOSE DECISIONS ARE FINAL AND BINDING IN ALL MATTERS RELATED TO THE PRIZE DRAW. AN ENTRANT IS NOT A WINNER OF ANY PRIZE UNLESS AND UNTIL ENTRANT’S ELIGIBILITY HAS BEEN VERIFIED AND ENTRANT HAS BEEN NOTIFIED THAT VERIFICATION IS COMPLETE. 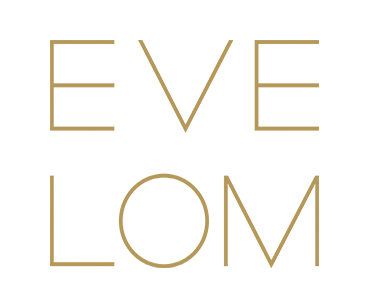 Prizes and Prize Restrictions:The prize will be awarded, consisting of a Eve Lom Transforming Radiance Mask. Total value of prize: £65 GBP. The Prize will be posted to the postal address provided by the entrant, within 5 business days of the entrant’s emailed response to the notification of winning from Sponsor. Any and all taxes and all fees and expenses related to acceptance and use of prizes not specifically stated herein are the sole responsibility of the individual prize winner. Prize cannot be substituted, assigned, transferred, or redeemed for cash; however, Sponsor reserves the right to make equivalent prize substitutions at its sole discretion. Sponsor will not replace any lost or stolen prizes. Prizes cannot be used in conjunction with any other Prize Draw or offer. Value, size or quantity of each prize component (where applicable) is subject to availability. If, by reason of a print or other clerical error, more prizes are claimed than the number set forth in these Official Rules, an alternate winner (or winners) equal to the number of prizes set forth in these Official Rules will be selected in accordance with the winner selection method described above from among all eligible claimants making purportedly valid claims to award the advertised number of prizes available. General Conditions: Subject to applicable law, Sponsor reserves the right to cancel, suspend and/or modify the Prize Draw, or any part of it, if any fraud, technical failures or any other factor beyond Sponsor’s reasonable control impairs the integrity or proper functioning of the Prize Draw, as determined by Sponsor in its sole discretion. Sponsor and its agencies are not responsible for lost, late, incomplete, damaged, stolen, misdirected, or illegible entries; lost, interrupted, or unavailable network, server, or other connections, garbled transmissions or miscommunications, telephone transmission problems; computer or software malfunctions or damage to a user’s computer equipment (software or hardware); technical failures; or other errors or malfunctions of any kind whether human, mechanical, electronic, or otherwise. Proof of sending or submission of entry will not be deemed proof of receipt by Sponsor. Sponsor’s failure to enforce any term of these Official Rules shall not constitute a waiver of that specific term. WARNING: ANY ATTEMPT BY AN ENTRANT OR ANY OTHER INDIVIDUAL TO DELIBERATELY DAMAGE ANY APPLICATION OR WEBSITE ASSOCIATED WITH THIS PRIZE DRAW OR UNDERMINE THE LEGITIMATE OPERATION OF THE PRIZE DRAW MAY BE A VIOLATION LAW, AND, SHOULD SUCH AN ATTEMPT BE MADE, SPONSOR RESERVES THE RIGHT TO PROSECUTE AND SEEK DAMAGES FROM ANY SUCH PERSON TO THE FULLEST EXTENT PERMITTED BY LAW. Sponsor reserves the right in its sole discretion to disqualify any individual it finds to be attempting to tamper with or undermine the entry process, Sponsor’s website and/or the legitimate operation of the Prize Draw; an individual who violates the Official Rules; or an individual who acts in an abusive or disruptive manner or with the intent to annoy, abuse, threaten, or harass any other person. Subject to applicable law, if, for any reason, the Prize Draw is not capable of running as planned, Sponsor may, in its sole discretion, void any suspect entries and (a) terminate the Prize Draw (or any portion thereof), (b) modify the Prize Draw or suspend the Prize Draw to address the impairment and then resume the Prize Draw in a manner that best conforms to the spirit of these Official Rules; and/or (c) award the prize at random from among the eligible, non-suspect entries received up to the time of the impairment. Release and Limitations of Liability: By participating in this Prize Draw, entrants agree that Sponsor, and their respective affiliates, subsidiaries, representatives, consultants, contractors, legal counsel, advertising, public relations, promotional, fulfilment and marketing agencies, website providers, web masters, and their respective officers, directors, employees, representatives and agents (the “Released Parties”) are not responsible for: (1) any incorrect or inaccurate information, whether caused by entrants, printing errors or by any of the equipment or programming associated with or utilized in the Prize Draw; (2) technical failures of any kind, including, but not limited to malfunctions, interruptions, or disconnections in phone lines or network hardware or software; (3) unauthorized human intervention in any part of the entry process or the Prize Draw; OR (4) technical or human error which may occur in the administration of the Prize Draw or the processing of entries. In the event that production, technical, seeding, programming or any other reasons cause more than stated number of prizes as set forth in these Official Rules to be available and/or claimed, Sponsor reserves the right to award only the stated number of prizes by a random drawing among all legitimate, un-awarded, eligible prize claims. BY PARTICIPATING IN THIS PRIZE DRAW, ENTRANTS AGREE THAT THE RELEASED PARTIES WILL HAVE NO LIABILITY WHATSOEVER FOR, AND SHALL BE HELD HARMLESS BY ENTRANTS AGAINST, ANY LIABILITY FOR ANY LOSSES OR DAMAGES OF ANY KIND TO PERSONS RESULTING IN WHOLE OR IN PART, DIRECTLY OR INDIRECTLY, FROM ACCEPTANCE, POSSESSION, MISUSE, OR USE OF THE PRIZE, ENTRY, OR PARTICIPATION IN THIS PRIZE DRAW OR IN ANY PRIZE DRAW RELATED ACTIVITY OR THE DOWNLOADING FROM AND/OR PRINTING MATERIAL DOWNLOADED FROM SAID SITE, OR ANY CLAIMS BASED ON PUBLICITY RIGHTS, DEFAMATION OR INVASION OF PRIVACY, OR MERCHANDISE DELIVERY, OR DATA NON-DELIVERY, LOSS, THEFT, MISDELIVERY, CORRUPTION, DESTRUCTION OR OTHER MODIFICATION. NOTHING IN THIS PROVISION SHALL EXCLUDE OR LIMIT OUR LIABILITY FOR DEATH OR PERSONAL INJURY RESULTING FROM THE NEGLIGENCE OF A RELEASED PARTY. THE RELEASED PARTIES ARE NOT RESPONSIBLE IF ANY PRIZE CANNOT BE AWARDED OR USED DUE TO CANCELLATIONS, DELAYS, OR INTERRUPTIONS CAUSED BY ACTS OF GOD, ACTS OF WAR, NATURAL DISASTERS, WEATHER, OR TERRORISM. WITHOUT LIMITING THE FOREGOING, ALL PRIZES, ARE PROVIDED “AS IS” WITHOUT WARRANTY OF ANY KIND, EITHER EXPRESS OR IMPLIED, INCLUDING BUT NOT LIMITED TO, THE IMPLIED WARRANTIES OF MERCHANTABILITY, FITNESS FOR A PARTICULAR PURPOSE, OR NON-INFRINGEMENT, SAVE AS MAY BE PROVIDED BY LAW. THIS PROVISION DOES NOT AFFECT YOUR STATUTORY RIGHTS. NOTHING IN THESE OFFICIAL RULES EXCLUDES OR LIMITS SPONSOR’S LIABILITY FOR DEATH OR PERSONAL INJURY RESULTING FROM THE NEGLIGENCE OF SPONSOR OR ANY OTHER RELEASED PARTY. 8. Publicity Release. EXCEPT WHERE PROHIBITED BY LAW, WINNERS GRANT TO SPONSOR (WHICH GRANT MAY BE CONFIRMED IN WRITING BY THE ENTRANT ON REQUEST OF SPONSOR), ITS SUBSIDIARIES, AFFILIATES, RETAILERS, DISTRIBUTORS, ADVERTISING AND PRIZE DRAW AGENCIES, SUPPLIERS, AND THOSE ACTING PURSUANT TO ITS AUTHORITY, THE RIGHT AND PERMISSION TO PRINT, PUBLISH, BROADCAST, AND USE, WORLDWIDE IN ANY MEDIA NOW KNOWN OR HEREAFTER DEVELOPED, INCLUDING BUT NOT LIMITED TO THE WORLD WIDE WEB, AT ANY TIME OR TIMES, THE WINNER’S ENTRY FORM, NAME, PORTRAIT, PICTURE, VOICE, LIKENESS, AND BIOGRAPHICAL INFORMATION FOR ADVERTISING, TRADE, AND PROMOTIONAL PURPOSES (INCLUDING THE ANNOUNCEMENT OF HIS OR HER NAME ON TELEVISION OR RADIO BROADCAST) WITHOUT ADDITIONAL CONSIDERATION, COMPENSATION, PERMISSION, OR NOTIFICATION. Disputes.These Official Rules are governed by English law and entrants to the Prize Draw submit to the jurisdiction of the English courts.